Chris Anderson, Editor in Chief at Wired UK’s new book Free: The Future of A Radical Price looks at the idea of how consumers are expecting more and more of their content for free, and with advertising spend on the way down the road to ruin, the future is uncertain for much of our mainstream media. Some of you may be more familiar with the works of Malcolm Gladwell, the author of The Tipping Point and Blink, he’s recently entered the ring with his own opinions, and the digital battle for the answer is well and truly on. 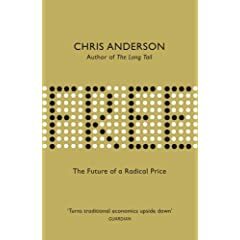 This is an issue that will inevitably effect us all, but will put PR in an exclusively pertinent place for our clients if the model of free content that Anderson is pushing comes out on top – the idea that we earn media placement rather than buy it has never been so well positioned in this new (to use Anderson’s words) freeconomy. A little video treat from my colleague over in the Asia-Pacific team at ogilvy – Mr Thomas Crampton (www.thomascrampton.com).Australia has really ramped up a gear when it comes to online promotion – as Nick Baker explains here. Utilising Twitter, Facebook, even an all star cast movie (aka – Australia). They have also taken a rather alternative approac when it comes to blogger relations, by invinviting out the blogger “The Sartorialist” out to Australia rather than a journalist or travel-related blogger. An interesting change of direction, which is kicking up a big hoohah in bloggersphere and traditional media alike. We have been working with the Brazilian tourism board in the UK to think about how they could best approach social media, and through conversation mapping we have spotted some real potential in this. The question is what kind of role does the tourism board play in these situations – with a clear promotions remit how trustworthy is their “editorial” content going to appear to potential customers/visitors?